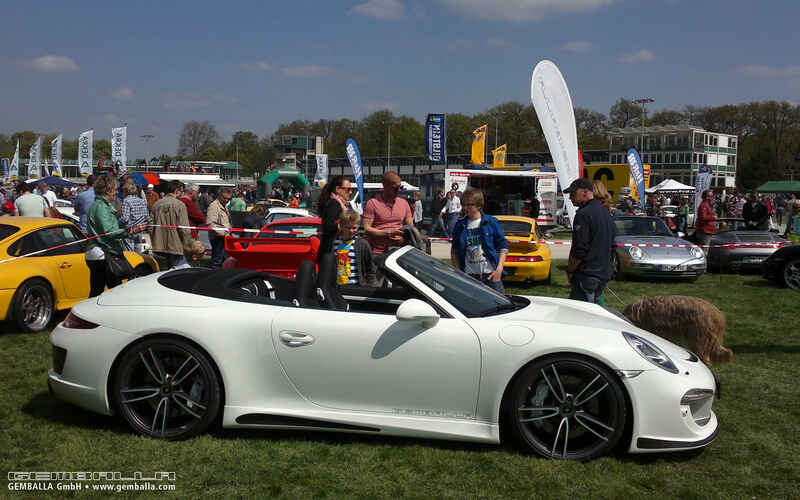 Written on 05 May 2013 . 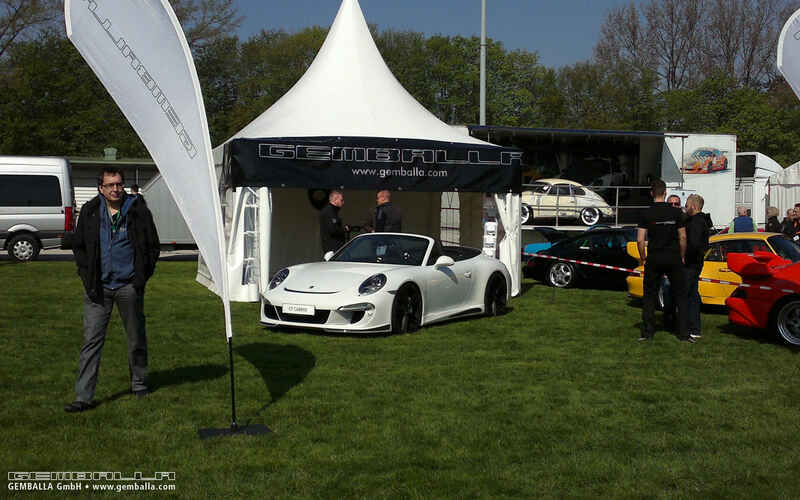 The International Club Day for Porsche enthusiasts is held every year at the racecourse in Dinslaken. 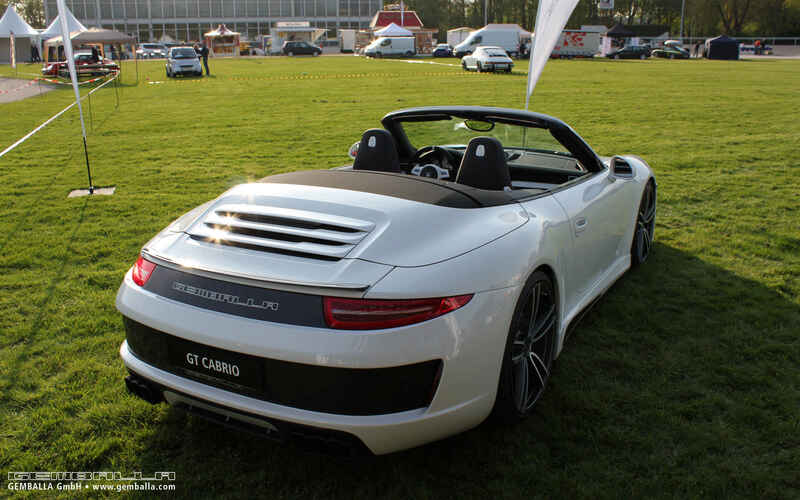 Although the location is certainly accustomed to horsepower, such a concentration of power is not on display on any other day of the year. 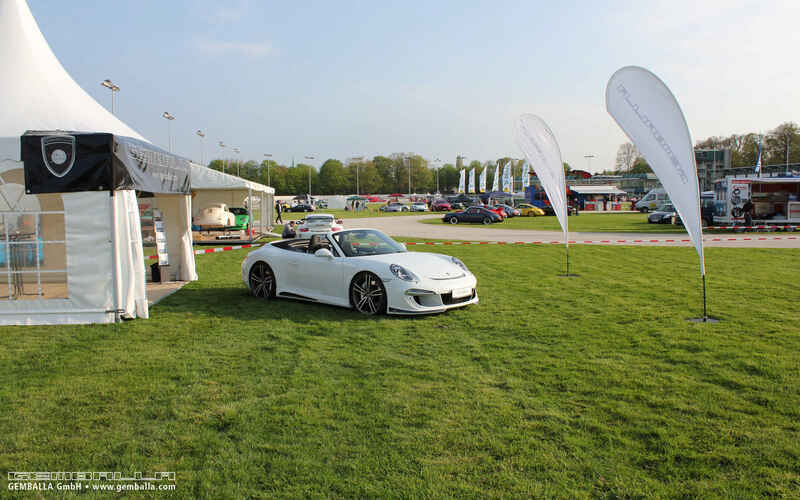 The event is being held for the twelfth time on 1 May 2013. 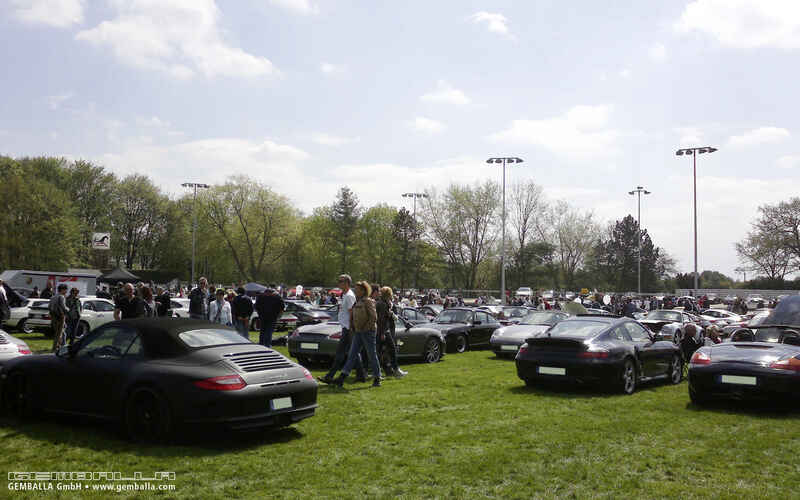 Around 2000 vehicles, most of them drawn from older model series, gathered to mark the occasion. 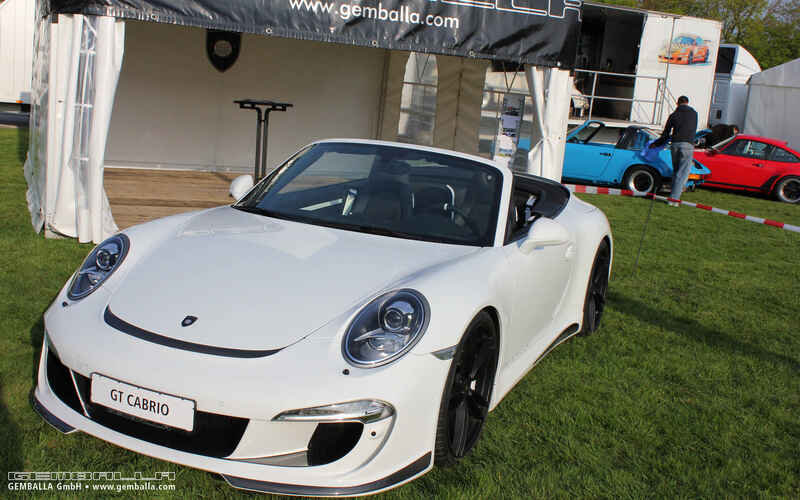 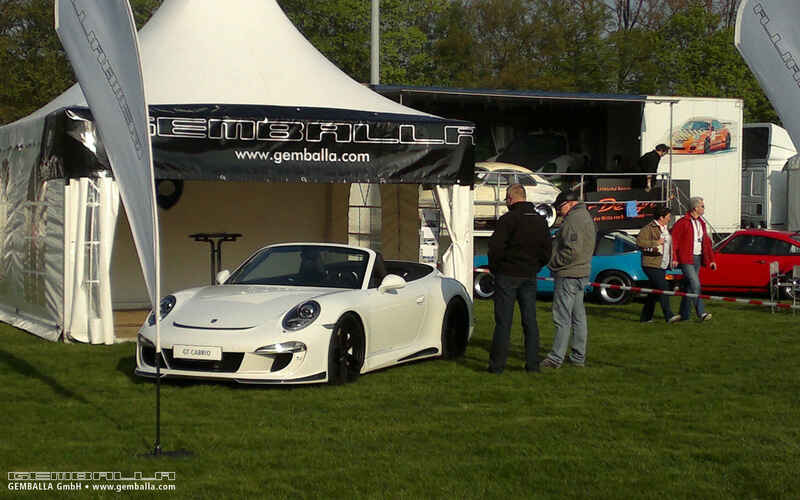 GEMBALLA was given pavilion exhibition space where it exhibited its GEMBALLA GT Cabrio, beckoning visitors to hop in and zip off on this sunny spring day.